Discovery Notes Location description: 500 feet from a pond. The location was surrounded by small shrubs, some poison ivy, and trees. The standard deviation of my phage's capsid width is 1.81673062 nm; the mean of my phage's capsid width is 63.3892 nm. The mean or average of my phage's capsid tail length is 165.0406 nm; the standard deviation of my phage's capsid tail length is 9.003649131 nm. Naming Notes The name was inspired by a character in a common read book (Fear and What Follows) that I had to read over the summer. Plaque Notes The plaques appear to be fuzzy and have a diameter of 5 mm. 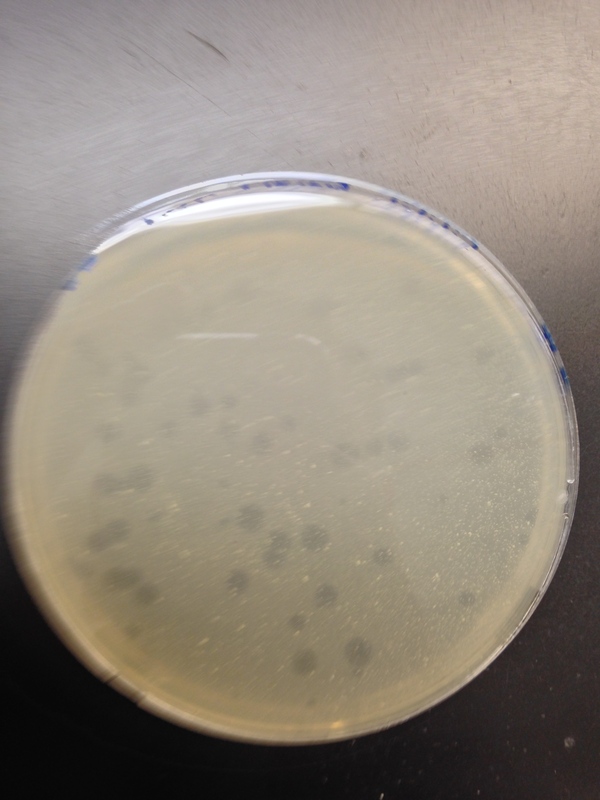 There is also the "bullseye" appearance within the plaque, which indicates that the phage that I have is a temperate phage.